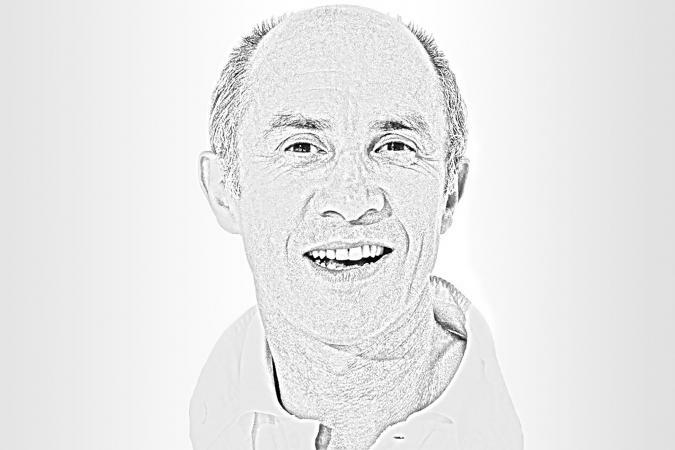 André Courrèges (1923- ) was born in Pau, in the Basque part of France. He studied engineering before pursuing a career in fashion. Courrèges worked first under the illustrious couturier Cristóbal Balenciaga from 1950 until 1961, when he left to open his own house. Balenciaga, whose clients were primarily mature and conservative women of wealth, was paradoxically often years ahead of his time. He produced sculptured garments that served as architecture for the woman's body, and it was from Balenciaga that Courrèges learned a highly disciplined yet innovative approach to design. The London "youthquake" of the early 1960s produced experiments in fashion that glorified young people and sent shock waves all the way to Paris, the capital of haute couture. André Courrèges's success was based on his ability to revitalize and preserve high fashion by injecting elements of the youthquake into haute couture. Along with London-based Mary Quant, Courrèges was a leading figure in the introduction of the miniskirt-the article of clothing most closely associated with youthfulness in its disavowal of traditional social codes and the rules of fashion. The miniskirt offered minimal coverage of the lower body, the better to flaunt the young legs that became so visible in the 1960s. Gone were the days of ladylike propriety, now banished by the emphasis on youth. Although opinion is divided as to who actually "invented" the miniskirt, Quant or Courrèges, it is generally accepted that Mary Quant was first, although only after "the girls on the street." Courrèges initially showed his miniskirts in the early 1960s, followed by futuristinspired pantsuits, coats, hats, and his trademark white kid boots. British Vogue declared 1964 "the year of Courrèges" (Howell, p. 284). The spring-summer collection of 1964 represented a couture version of youth-oriented styles with the invention of the "moon girl" look; the collection ultimately secured for Courrèges the title the designer of the Space Age. Courrèges's 1964 Space Age collection unveiled, among other pieces, architecturally-sculpted, double-breasted coats with contrasting trim, well-tailored, sleeveless or short-sleeved minidresses with dropped waistlines and detailed welt seaming, and tunics worn with hipster pants. Vivid shades of pink, orange, green, and navy complemented the designer's bold repeated use of white and silver. Accessories for each ensemble included oversized, white, tennis-ball sunglasses or goggles with narrow eye slits, gloves, helmet-shaped hats and other hats recalling baby bonnets, and square-toed midcalf boots made of soft, white kid leather. Perhaps his most famous contribution to fashion after the miniskirt itself was the "Courrèges boot," originally designed in 1963. The entire 1964 spring collection was a phenomenal success and influenced other designers such as Pierre Cardin and Paco Rabanne to create their own versions of futuristic fashion. It also led ready-to-wear manufacturers, hoping to rake in huge profits, to copy and mass-produce similar designs. Courrèges's visionary approach to fashion made use of clean geometrical lines and rejected superfluous material. He employed a minimal amount of decorative ornamentation; when he used it at all, it was most often his trademark daisy motif, chosen for its symbolic association with youth. The couturier's love of sharp lines and the angular crispness of his forms reflected his background in engineering. Courrèges's clothing not only emphasized technologically advanced synthetic materials that were evocative of the times, but also pushed fashion further into the future by situating it within modern life. This intellectual component, typical of Parisian design, carried over into Courrèges's work at his studio on the avenue Kléber, where he dressed luminaries from the duchess of Windsor to Jacqueline Kennedy, Lee Radzi-will, and Jane Holzer. The "white" salon, as the studio was known, personified the designer's ideals of functionality and practicality with its modern minimalist decor. André Courrèges created modern clothes for modern women living in modern times. Courrèges's first official couture collection made its debut in 1965; two years later Prototype, the made-to-order custom line, was introduced. The introduction of luxury prêt-à-porter with Couture Future at the end of the decade marked Courrèges's transition into the 1970s. The new decade saw the establishment of the designer's first fragrance, Empreinte, in 1970 along with a men's ready-to-wear line in 1973. The need to reach a mass-market audience brought with it the lower-priced Hyperbole line in the early 1980s, and the desire to solidify a world-renowned brand name through profitable licensing arrangements led to the sale of the company in 1985 to the Japanese firm Itokin. Along with his contemporaries Paco Rabanne and Pierre Cardin, André Courrèges helped to create an unmistakable style that defined an era. His lasting impact on fashion design was his astute recognition of the revolution launched by the younger generation. The explosion of the "youthquake" onto the scene fundamentally altered the direction of fashion in the 1960s. Fashion now not only celebrated the present but also looked forward to the future. The future was conceivably Courrèges's greatest muse, and the infinite possibilities of tomorrow stimulated his experiments with form. The mod revival spearheaded in the early 1990s by Miuccia Prada recalled the design principles and iconic looks pioneered by Courrèges three decades earlier. From white, A-line minishift dresses to nylon microfiber accessories, Prada's continual search for innovation is influenced by Courrèges's designs from the 1960s. Furthermore, the fall 2003 collections represented a direct backward glance at youthquake fashion. Designs that evoked the Space Age appeared on catwalks from New York to Paris. White and metallic "lunar" shades with occasional splashes of bright color dominated the palette. Geometrical lines were everywhere. The miniskirt reappeared in full force at Chanel, Marc Jacobs, and Donna Karan, while midcalf leather boots accessorized mod ensembles at Moschino and Tommy Hilfiger. The focus on youth, the contemporary use of architecturally shaped minimalist designs in bold contrasting colors, and the deliberate application of detailing demonstrates the lasting impact of 1960s fashion. Henceforth, every retro mod fashion will forever be traced back to the work of André Courrèges. See also Cristóbal Balenciaga; Pierre Cardin; High-Tech Fashion; Miniskirt; Prada; Mary Quant; Paco Rabanne; Space Age Styles; Techno-Textiles; Youthquake Fashions. "Balenciaga's Secret." Women's Wear Daily, 23 April 1961. Braddock, Sarah E., and Marie O'Mahony. 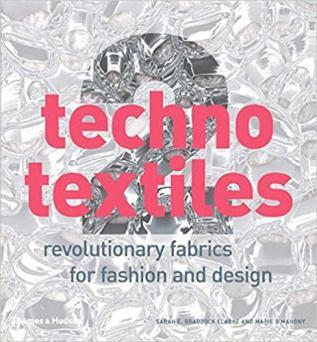 Techno Textiles: Revolutionary Fabrics for Fashion and Design. New York: Thames and Hudson, Inc., 1998. "Eyeview." Vogue (October 1964): 87-89. Giraud, Françoise. "After Courrèges, What Future for the Haute Couture?" New York Times Magazine (12 September 1965): 50-51. Howell, Georgina. In Vogue: Six Decades of Fashion. London: Allen Lane, 1975. Koski, Lorna. "Courrèges: 60s Encore." Women's Wear Daily (26 October 1984). Nonkin, Lesly. "Courrèges: Shops Stay in Touch with Customer." Women's Wear Daily (12 September 1979). Sheppard, Eugenia. "Courrèges Back in Action." World Journal Tribune (19 March 1967): 8-11. Steele, Valerie. Fifty Years of Fashion: New Look to Now. New Haven, Conn.: Yale University Press, 1997.